We the undersigned acknowledge and agree that sexual harassment, sexual assault, and sexual abuse are problems in the United States and around the world. We agree that sexual harassment must be dealt with swiftly and JUSTLY. We also understand that like with most everything in life, there are degrees of sexual harassment, and one woman's opinion of what sexual harassment is can widely differ from another woman. There are degrees of guilt in killing someone, in fraud, in theft, in love, and in hate. You cannot hang all men from the same rope. 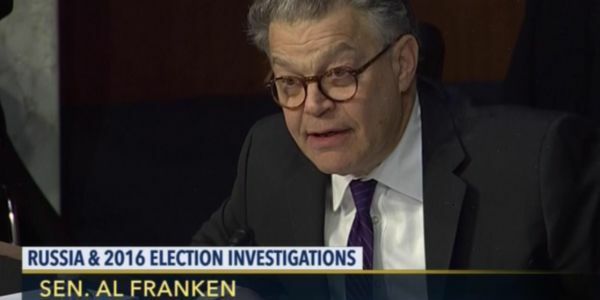 You cannot punish a man that did what Al Franken is accused of in the same manner that you would punish a man that paid a settlement to a woman for sexual harassment, or a man that threatened a woman's job if she didn't not provide sexual favors, or fired a woman for not providing sexual favors, or making a woman live and work in a stressful situation because of sexual harassment. Al Franken deserved his ethics investigation. Of all the recent charges against men for their actions, he is the ONLY ONE that admitted he was wrong, asked for forgiveness, asked for an investigation. HE DID THE RIGHT THING UNDER THE CIRCUMSTANCES. He does NOT deserve to have to leave the Senate because of a bunch of radical, sanctimonious female senators that are trying to make a statement and take the high ground, while leaving ALL COMMON SENSE BEHIND. Leave Al Franken alone. Let him have his ethics investigation. Censure him if you have to do something, but DO NOT REMOVE HIM FROM THE SENATE!